Our brand new game Slots in Spaaace is OUT NOW! This slot machine features a brand new Missions feature that gives you bonus rewards for finding specific symbols. Then pilot your spaceship into combat with UFOs in the bonus round and save the drive-in from an alien invasion! 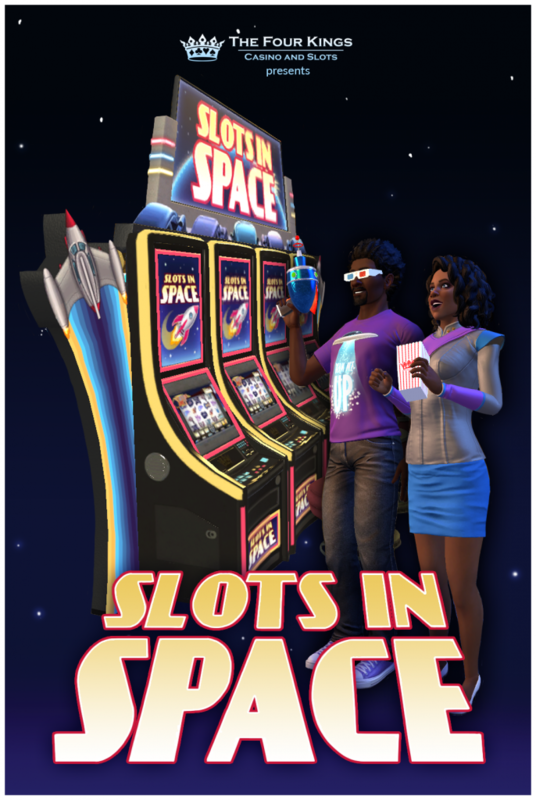 Slots in Spaaace is playing now at the Four Kings!